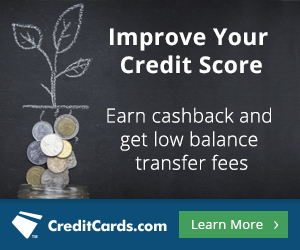 After working in the automobile industry for 4 years and selling close to 500 cars in less than 3 years, one of the most frequent questions I get is “How Can I Lower My Car Payment?” Of course, your credit score will play a role as this will determine if lowering your car payment is possible at all! Here are a few ways you can go about dropping that payment. Many banks and credit unions give consumers the opportunity to refinance their cars and potentially lower their monthly payment. Notice I said “Potentially” as some consumers just want to lower their interest rate and possibly shorten the loan term at the same time which in case keeps the payment almost the same. Why do this? It keeps most of the money from the monthly payment towards the actual principal of the loan instead of the interest. Usually, the main purpose of refinancing the auto loan is to lower the monthly payment by lower the interest rate, extending the term, or both. Most of the good re-fi rates are for the 680 and above scores only. Anything under that will probably be in double digits. 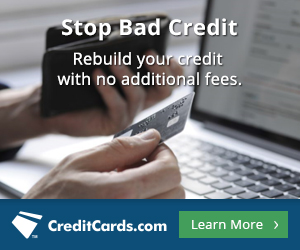 Banks that do auto re-fi loans are Capital One, Wells Fargo, Fifth Third Bank, and many more. Keep in mind, your credit score will be a determining factor as that will give you the interest rate you qualify for. 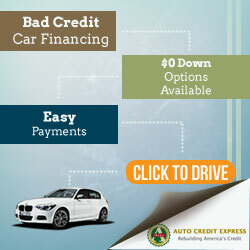 This way is usually the easiest way to get a lower monthly car payment. Unlike a re-fi, when trading a vehicle in at a dealership opens up the doors for lower interest rates as multiple banks fight to earn you business. Everything is done electronically of course but in most cases consumers have no idea that they now qualify for a lower payment because they now have better credit than at the signing of the original loan! One thing to find out ahead of time is what new incentives the dealership will have on certain vehicles. I have seen consumers get approved for the special finance rate of 0%-2.99% with a 620 credit score! Also keep in mind that negative equity (upside down) may or may not play a factor. 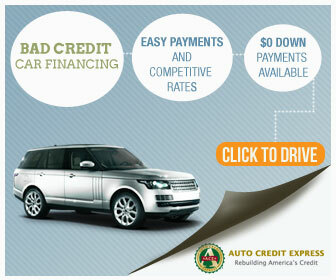 I saved this option for last as not many consumers are able to afford to do this in order to lower their car payment. When you make extra payments on your car loan that go toward the principal, this will lower the overall monthly payment simply because the overall amount financed is now lower. Most banks will not charge a early payoff penalty. This option is for consumers that plan on keeping the current car for at least 4 years or more. A lump sum payment would be the same outcome as there would be smaller amount owed because of the lump sum payment. This happens mostly around tax season and lowers the payments but not always by alot. Be sure to decide if this option is for you or not. Now you have the 3 Ways To Lower Your Car Payment Right Now. Hopefully this has helped some of you for your own situation or someone that you may know. For more topics such as this one, free credit tips, and discounts, be sure to join our email blast.